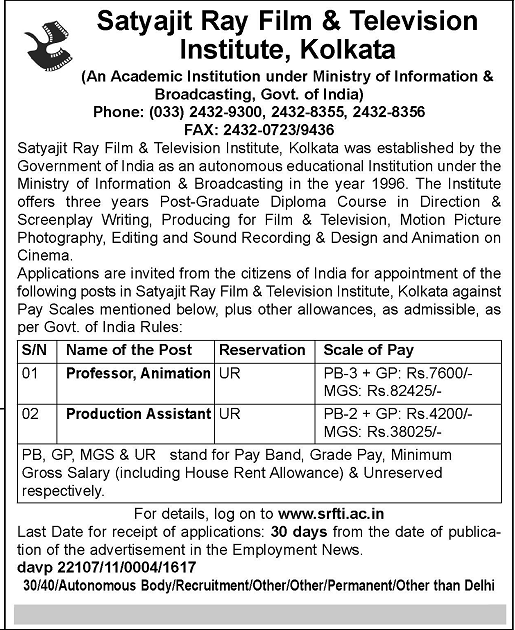 Satyajit Ray Film & Television Institute (SRFTI), Kolkata is going to recruit for the post of Professor and Production Assistant. The candidates may apply within 30 days from the date of publication of the advertisement. SRFTI, Kolkata was established by the Government of India as an autonomous educational institution under the Ministry of Information & Broadcasting in the year 1996.